There's nothing like a record setting scorching hot and dry summer in ... you guessed it ... Scandinavia ?!!? to spur serious political discussions. Luckily the fabled Norwegian town of Arendal is hosting some 70,000 people for its annual political gathering Arendalsuka (literally Arendal Week), where the town that inspired Frozen's namesake Arendelle will undoubtedly be fixated on global warming, not dreamy scenes of nordic winter. Enter our very own fearless princess, er leader, Mariela Alfonzo, to recount the magic healing power of urban design in this fairytale town. Today, at her session, What is the Value of Architectural Data?, Mariela explained to an audience of planners, designers, and politicians how they can harness the power of data to advance their visions for more walkable, livable, and sustainable places. She also did an impromptu scenario analysis and ROI forecast for the tactical urbanist treatment she was delighted to discover on the street where her event was hosted - for which we had already (handily) collected data. 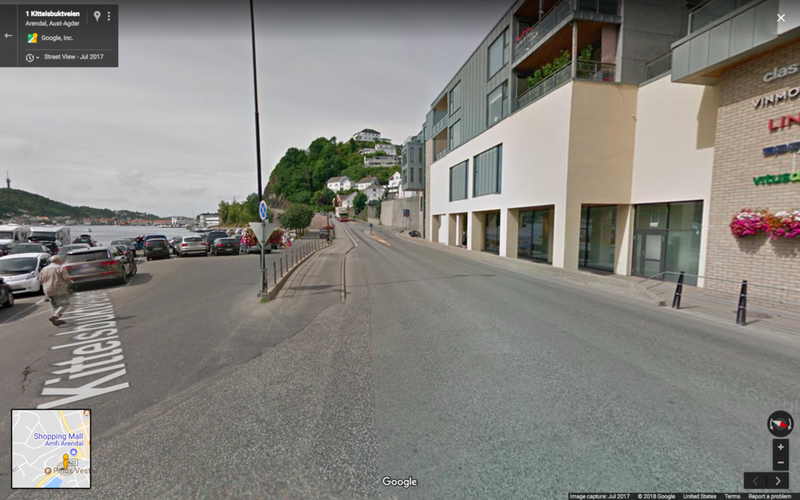 Turns out the lighter, quicker, cheaper treatment the Arkitektugata folks had put together has a MUCH higher return than the lofty plan we modeled for a nearby (not as nice street). Score 1 for the thrifty (and nimble!) Scroll through the results below and download the entire presentation and visuals here. In addition to speaking Tuesday, Mariela is also pitching our vision for better places through data on Wednesday as part of a panel discussion about solving the epidemic of plastic waste in our oceans and on our shorelines - hosted by our investor cheerleaders, Katapult Accelerator, and their new sister org, Katapult Ocean (ocean/water related startups, you should totally apply!). At first glance, the title of this event, Turning the Tide on Plastics might make you do a double take -- what does better good urban design have to do with eliminating plastic and waste in general? It turns out, everything. Much like transportation efficiency, efficient use of resources begins with people living in places where they are within walking distance of others, whether it's a city or village. Being able to walk to the market instead of having to drive out to the big box store means burning less fuel and using less packaging to get the goods we need. And of course more cohesive communities mean a better educated citizenry about avoiding waste and sharing resources like vehicles, tools, and all those other things that are both made with plastics and/or packaged in plastic containers. Older PostLet Them Eat Place - And a LOT of It!